How to organize scanned documents? To sort scans or create a new folder, go to the app main screen and swipe it down to see the additional toolbar. Tap Add folder icon and name the created folder or simply drag one scan above the other one. Sort your scans by Name or Date. For this just tap one of the options at the additional toolbar. 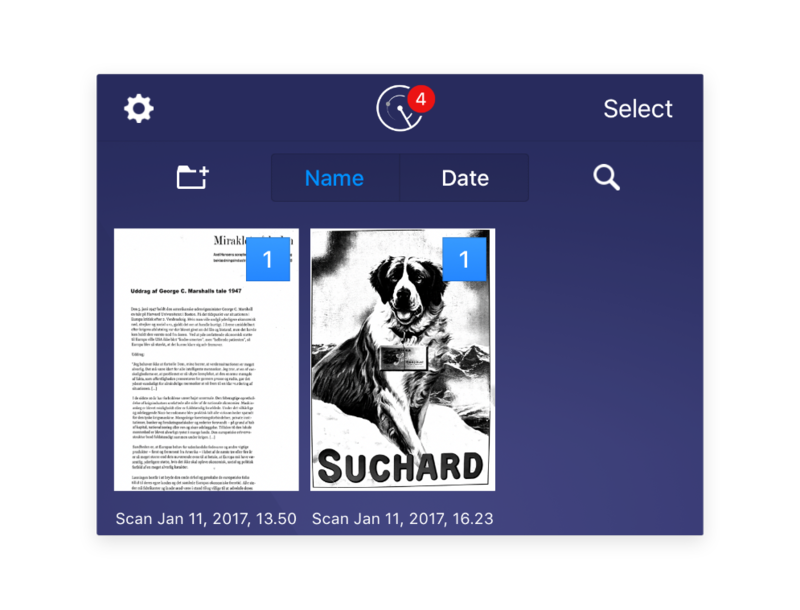 To move the scan, long tap it, then Drag&Drop it to the desired folder icon. In addition to ability to move scans via Drag&Drop, there is a manual way to do that: select the scan in main document screen, tap Move, select the designated location, Move. To combine a few scans into one: select two or more scans -> tap Merge. Note: the scan with the largest amount of pages will be the first one in the merged file. To reorder pages, simply Drag&Drop them in the desired order.